Earlier on Wednesday, Sanef had strongly condemned the "violent disruption" at the launch of Myburgh's book, at Exclusive Books in Sandton on Tuesday evening. 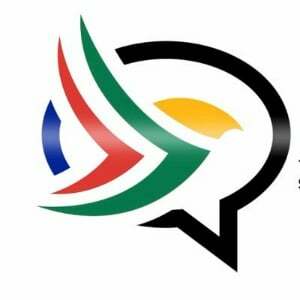 The forum pointed out that in April 2018, titles in the Independent Media group also labelled journalists reporting critically on the company's chairperson, Iqbal Survé, as "Stratcom" members. Stratcom was the name of a dirty-tricks unit that operated under the apartheid State Security Council. The Truth and Reconciliation Commission (TRC) heard evidence from former Stratcom members about how they would infiltrate media houses and use the media to spread disinformation about struggle leaders such as Winnie Madikizela-Mandela. This disinformation led to the death of activists and the manipulation of the truth to suit the National Party's agenda. "Calling a journalist 'Stratcom' implies they are paid by the state's security agencies to distort the truth or spread disinformation. It is an incredibly dangerous trend to refer to journalists you don't agree with as 'Stratcom', without evidence that they are corrupt or involved in nefarious activities," the editors' forum added. It said the term cast doubt on the media industry as a whole and put the safety of journalists at risk. Sanef urged politicians and business people, who were unhappy with journalists' work, to use available regulatory mechanisms at the Press Ombudsman of South Africa or institute civil defamation proceedings in the country's courts instead of attempting to taint journalists with a Stratcom brush.